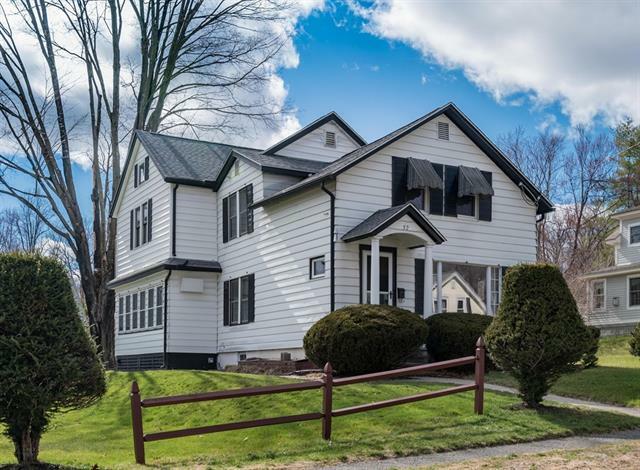 This time of year, better known as the "spring market" to Northampton Area realtors, we find ourselves showing a lot of houses to potential buyers. With all of the rain we've been having, the dryness (or dampness) of a basement is at the forefront of the minds of home buyers. There are many factors that can add to or take away from the potential livability of a basement space. Inheriting moisture problems from a previous owner is something one hopes to avoid when purchasing a home. A few years ago, friends of mine purchased a ranch in Florence. It was in solid shape, with a damp basement. They intended to ultimately turn the basement into living space. The advice they received from their contractor was to demo the space and live with it for a year to see if/where/when/how water was getting into the basement. This was great advice! They eventually found an area where water was seeping in - not from below ground, but from the outside. They put in a perimeter drain, and diverted the downspouts from the gutters away from the house. Presto! No more water in the basement. Now they have begun the project of finishing their basement properly. The article below, from the RAPV newsletter, gives good advice about how to properly finish a basement.